Gutter cleaning can be a painstaking and time-consuming task for homeowners. That is why it makes sense to hire a professional when you are in need of gutter cleaning. All Out Chimney Sweep has years of experience providing gutter cleaning services on all types of homes and buildings. Blow leaves and debris from gutters – One of our primary services is blowing leaves and debris from your gutters with professional equipment. This is a safe method for your home and ensures that all the debris in your gutters will be dislodged. We also use extension poles and we will even remove heavier debris by hand. Bag debris – Once all the debris has been removed from your gutters, our team will bag it up and take it away. This part of our service will enhance your curb appeal and remove much of the clutter from around your home. Test downspouts – Our gutter cleaning and repair technicians will inspect each downspout for blockage. This test will determine which types of measures need to be taken in order to remove a clog. We have years of experience snaking downspouts of all sizes, which may include temporarily disassembling the elbow. Seeing rainwater overflow from your gutters or having downspouts that are not draining are two primary signs that it is time for gutter cleaning. There is no need for immediate panic, although this is something that should be addressed. We also recommend that homeowners be wary of the dangers involved with gutter cleaning. This requires the use of a ladder and the height factor always presents a danger. It is better to leave gutter cleaning to the professionals as your safety is too important to risk. Gutter cleaning is not a service that is typically going to require multiple trips to a home. 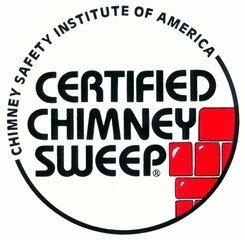 All Out Chimney Sweep can complete gutter cleaning during one service call. The size of the home will dictate how long it takes, although our team has the experience, training and skill to get each job done quickly without sacrificing any quality. 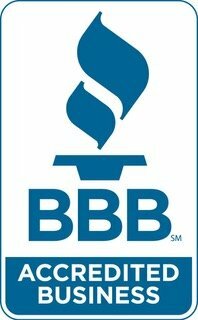 Contact Us Today To See How We Can Help Improve Your Home or Business!